Looking through her blog, lots of recipes undeniably tempted me. For example, taro chips - one of my favorite foods in crispy, crunchy, yummy chip form? Definitely!...And then I forget to buy a taro when we're at the grocery. Her potato skins and Mexican chocolate tea biscuits were also contenders, but ultimately, I chose to make some Asian Meatballs. Overall, we enjoyed these meatballs, although they did not taste like bulgogi meatballs, as we expected based on the name. However, the meatballs were full of flavor. We also opted to enjoy the meatballs over rice instead of in a meatball sandwich. The only minor change I would make next time would be to significantly decrease the amount of soy sauce. I'd recommend using a third to half, or even less. 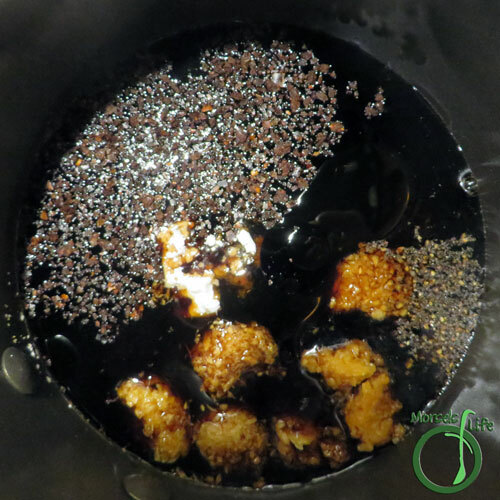 The decrease in soy sauce will allow you to have a much more pleasantly flavorful sauce and not get overwhelmed with the saltiness. I've edited the materials table to reflect the change, but the images show the full amount. 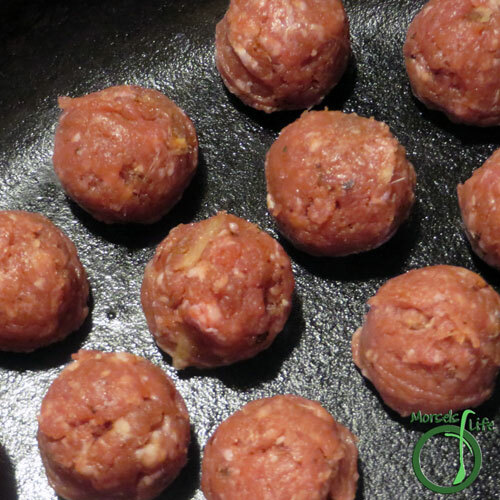 What's your preferred method for cooking meatballs - oven or stovetop? 2. 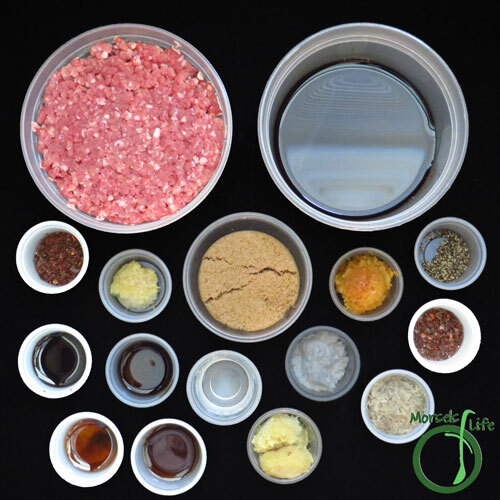 Combine first seven ingredients, mixing until flavors uniformly spread throughout beef. 3. Meanwhile, combine remaining materials, stirring to mix in corn starch before heating. Heat until sauce thickens and becomes bubbly. Remove from heat. 4. 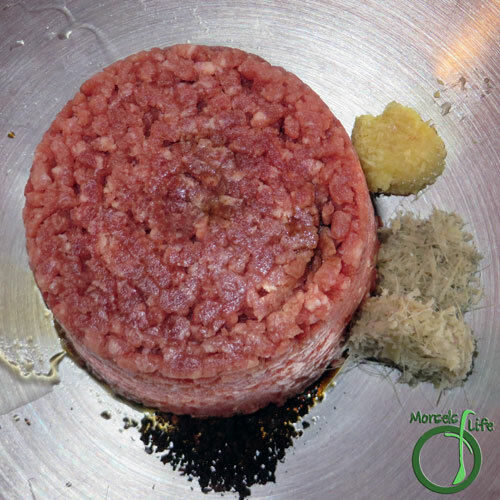 Form meat mixture into meatballs, then cook. 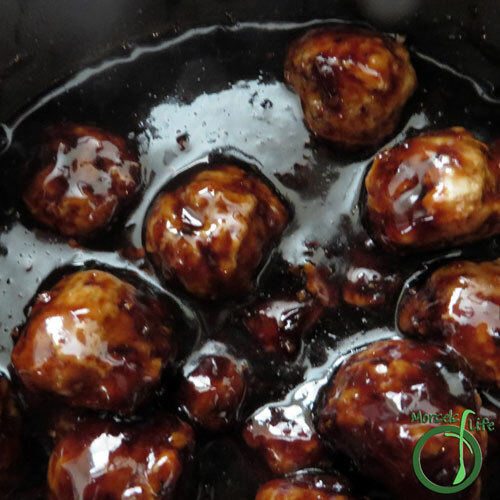 I cooked these Asian meatballs in a pan. You could also bake or use a slow cooker. 5. Dunk cooked meatballs in sauce before serving. 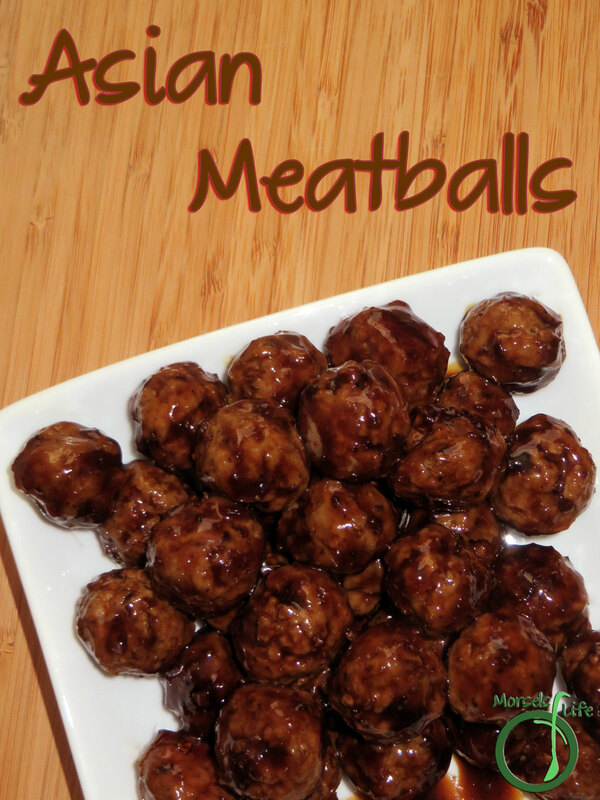 I just love the flavor combination for your Asian Meatballs, they look delicious. It's great cooking with you in the SRC! These look wonderful..made small they would be the perfect appetizer! 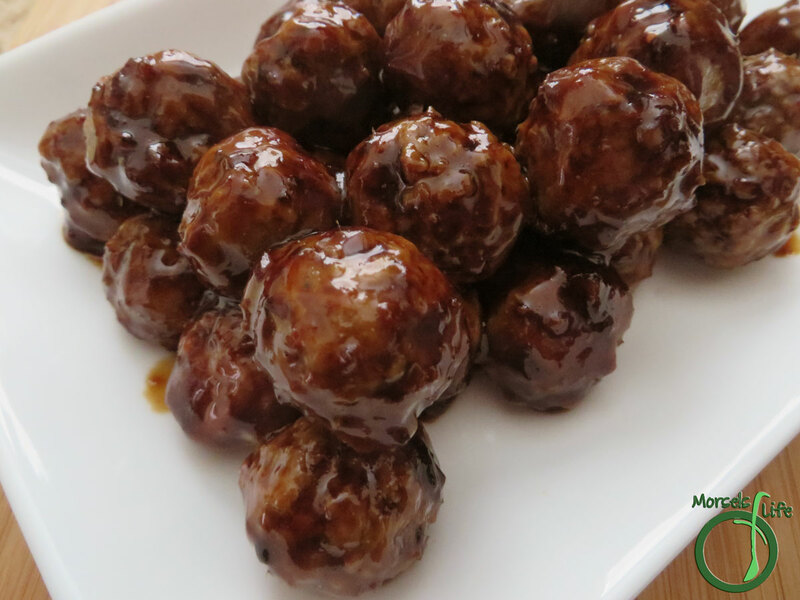 What a delicious looking batch of meatballs! I can tell from the color that there must be a lot of soy sauce in them, so I'm glad that you recommended to reduce the amount used. These look perfect! A great dish to bring to a party! Great SRC pick! This is going into my to make soon folder! I have everything except the lemongrass- can I sub something else for it ? Kinda. You can use things like lemon zest, lemon verbena, lemon balm, lemon leaves, kaffir lime leaves, or I would recommend ginger with lemon and lime zest. The flavor will definitely be different, but in my opinion, the ginger with lemon and lime zest combo comes closest. 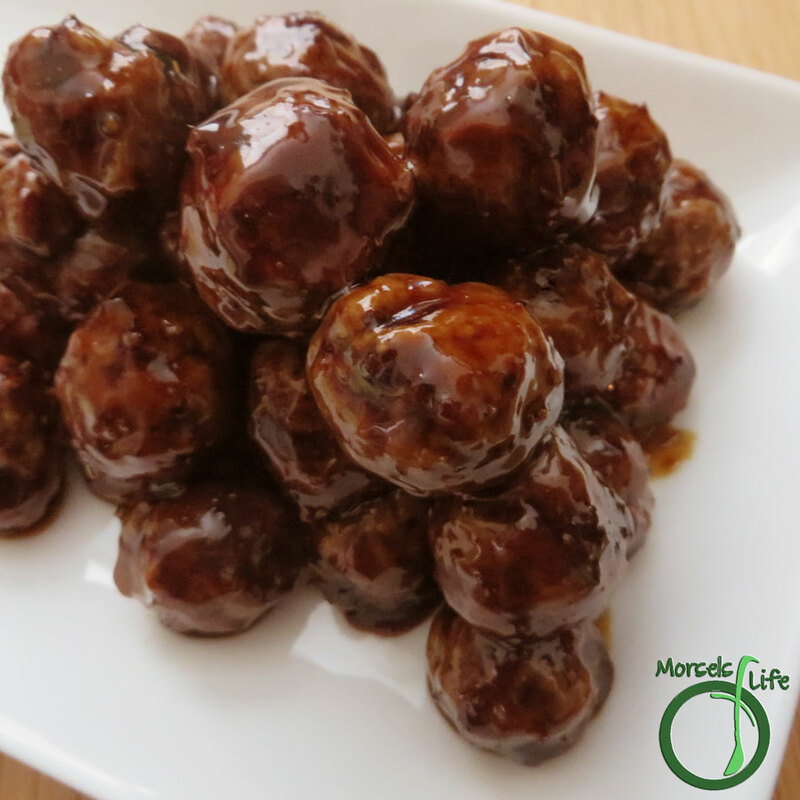 I love experimenting with meatballs and different flavours. I love the Asian flavours in these ones and would definitely like to try them.